Explore light-filled studios to expansive three bedroom residences. An unparalleled lifestyle of convenience and amenity-rich living awaits. Hudson Lights brings an unparalleled lifestyle of convenience and amenity rich living; one designed to delight, surprise and surpass expectation. Residents will enjoy an expansive outdoor pool deck complete with lounges and cozy conversation areas, a private state-of-the-art fitness center, yoga room, media lounge, kid’s playroom and a beautiful dining room for large party entertainment. Located seconds from the George Washington Bridge, Hudson Lights blends contemporary design with cutting edge style to set a new standard of luxury living. Experience the convenience and comfort of an urban oasis of markets, boutiques, restaurants, entertainment and open green space - all minutes from New York City and miles from ordinary. 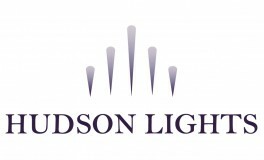 Hudson Lights offers a wealth of conveniences right at your doorstep. •And so much more to come….